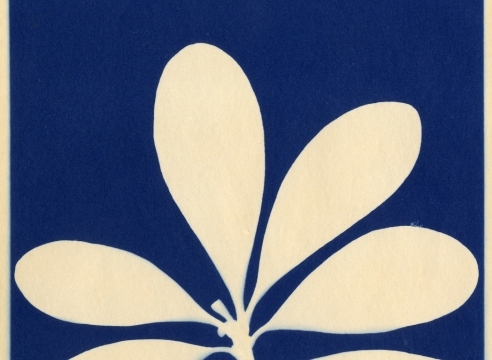 Daniel Ranalli made his first photograms in 1974 and was immediately drawn to the technique's enormous potential for abstraction, as well as the rich tonal scale. 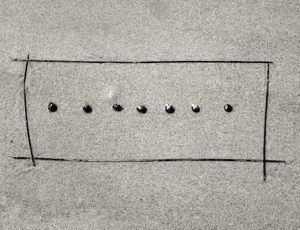 The photogram is one of the simplest and most elemental forms of photography; it uses no camera, no negative and therefore each print is unique. This method of working quickly became Ranalli's sole focus and between 1975 to 1984 they represented nearly the entirety of his output. Ranalli saw in the technique a way to explore abstraction in photography untethered from the mediums usual relationship with subject matter. As a kind of light drawing the work embodies the nature of photography and it's root origins-photo meaning light and graphy meaning writing. All of the photograms are split toned with selenium which gives the cool prints a rich iron oxide tone in the shadowed areas. It also enhances the permanence of the print. In 1978 Ranalli had his first solo exhibition of the photograms with legendary Boston photography dealer Carl Siembab with two more solo shows in 1979 and 1982. Numerous other shows followed including exhibitons at Pace McGill in New York and SF MoMA. In 1981 Ranalli received an NEA Artists's Fellowship in Photography for the work. The photograms are in numerous collections wihich include the MFA Boston, MoMA, SF MoMA, Harvard University Art Museum, The Smithsonian, the Neslon Atkins Museum of Art and numerous others. In 1993 Daniel Ranalli founded the Graduate Program in Arts Administration at Boston University where he continues to teach to this day.